The QualityNet system opened on January 2, 2019 for Eligible Hospitals and Critical Access Hospitals attesting to the Medicare Promoting Interoperability (PI) Program (formerly known as the Medicare EHR Incentive Program). This marks the beginning of the attestation period for program year 2018. The Promoting Interoperability reporting period is a minimum of any continuous 90 days between January 1 and December 31, 2018. 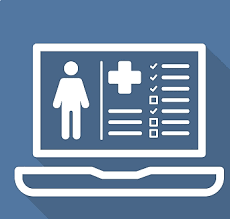 For Modified Stage 2 in 2018, hospitals may attest to objectives and measures using 2014 Edition Certified EHR Technology (CERHT), 2015 Edition CEHRT, or a combination of both. As a reminder, hospitals must use the QualityNet Secure Portal, also referred to as QNet, to report both PI and quality attestations. For specific instructions on how to enroll in and use QNet, see the Enrollment and Login User Guide, the Role Management User Guide, the Registration and Attestation User Guide, and the Objectives and CQMs User Guide. Participants must attest successfully to program requirements in order to avoid the Medicare payment adjustment. The attestation submission period ends on February 28, 2019. Hospitals are reminded to keep detailed documentation to support their attestation for up to six years after reporting is complete. For more information on the Medicare Promoting Interoperability Program, please either email our team of expert advisors at the Kentucky REC or call us at 859-323-3090. Successfully navigating the complex and evolving Promoting Interoperability landscape can be a challenging task. We work closely with our clients to guide them through the multifaceted environment unique to health information technology. We are here to help! Contact the Kentucky REC today to learn more about the support we provide.